Horton Estate Agents are pleased to offer for sale this three/four bedroom detached family home, located on the highly sought-after cul de sac, Hall Close in Kibworth. The property sits on a generous plot and offers flexible accommodation, but also the potential for further development (STP). On entering the property into the entrance hall, there is access to the kitchen, stairs to the first floor, cloak room with WC and the lounge. The lounge leads through into the dining room, which in turn provides access to fourth bedroom. The kitchen offers a wide range a base and eye level units, breakfast bar and a pantry. From the kitchen there is also access to the dining room and utility room. The utility room provides base level units and plumbing for a dish washer and washing machine. From the utility room there is access to the garage, garden and an office/study room. To the first floor are three bedrooms and the family bathroom. The master bedroom has an ensuite shower room. 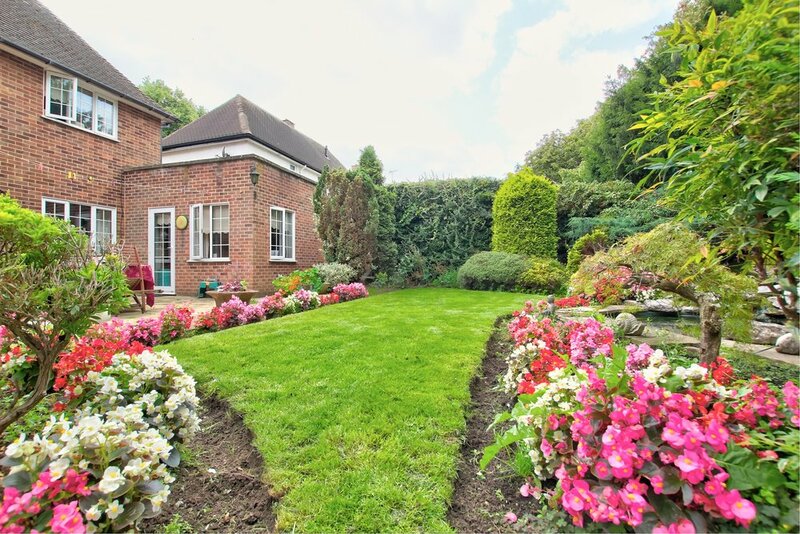 Outside to the front, the property is enclosed by a low level hedgerow with a well maintained front lawn and a host of planted borders, mature trees and well established shrubbery. To the front of the property is a hard standing driveway providing off road parking for up to three cars and access to the double tandem length Garage through the electric door. The Rear Garden offers a good degree of privacy partly enclosed by a brick wall with a main paved patio area ideal for seating and a main lawn section with an array of planted borders. The Garden also benefits from a generous sized sunken pond and access to two sheds ideal for storage. Office - 6' 10" x 8' 8"
Bedroom Four - 11' 5" x 8' 2"
Bedroom Two - 14' 11" x 11' 5"
Bedroom Three - 11' 5" x 10' 5"
Kibworth is set within some of South Leicestershire's most attractive countryside. There are more comprehensive amenities in Market Harborough to the South and Leicester to the North and mainline train services are available from both of these locations to London St Pancras International. (Journey time from Market Harborough is approximately one hour). There is also direct access to Leicester City Centre via the A6 London Road.